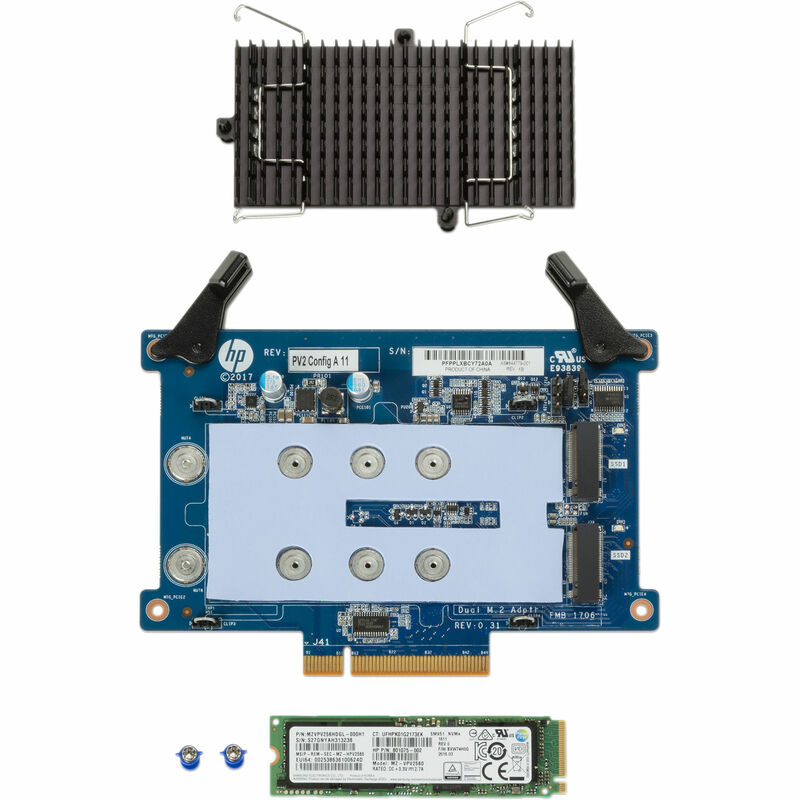 Designed for their Z8 G4 Workstation, the 2TB Z Turbo Drive SSD Kit from HP bundles a 2TB NVMe PCIe M.2 SSD, a PCIe card, a heatsink, and two M.2 screws. Once assembled, this kit will fit into one of the PCIe slots on you Z8 G4 and will not only expand your internal storage by 2TB, but also improve data transfer speeds and response times. Improve the way you work and get fast I/O response times to process large data sets with this second generation HP Z Turbo Drive. Realize expanded performance gains in applications that require random access with NVMe technology.